Green mother of groom chiffon dresses. Chiffon and beaded Lace gown has front and back scalloped V neckline with cap sleeves. 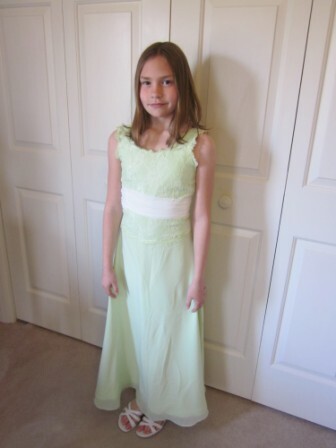 Shirred chiffon waistband and A-line skirt. 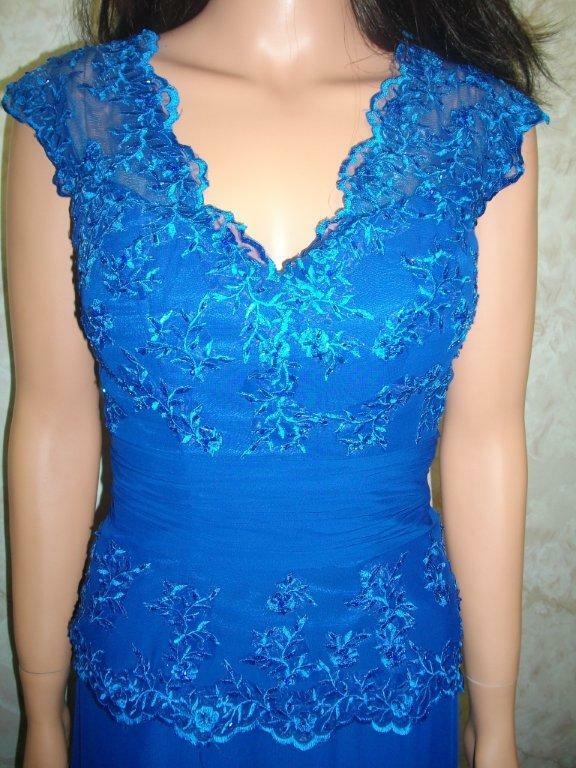 Adult size 2 royal blue dress overstock sale at $110. The images shown are reference photographs to illustrate the basic design and cut of the gown. 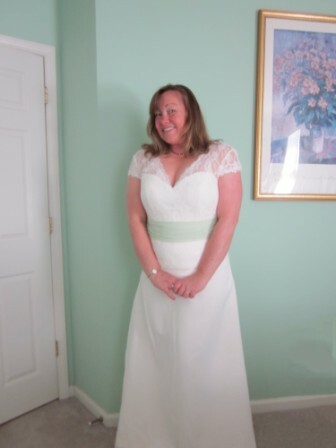 We custom manufacture design inspired gowns which closely resemble the photographs. 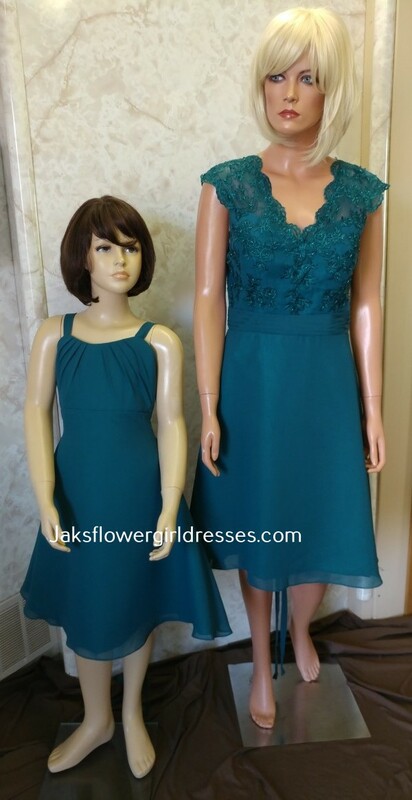 Each dress is similar but not exact to the original. 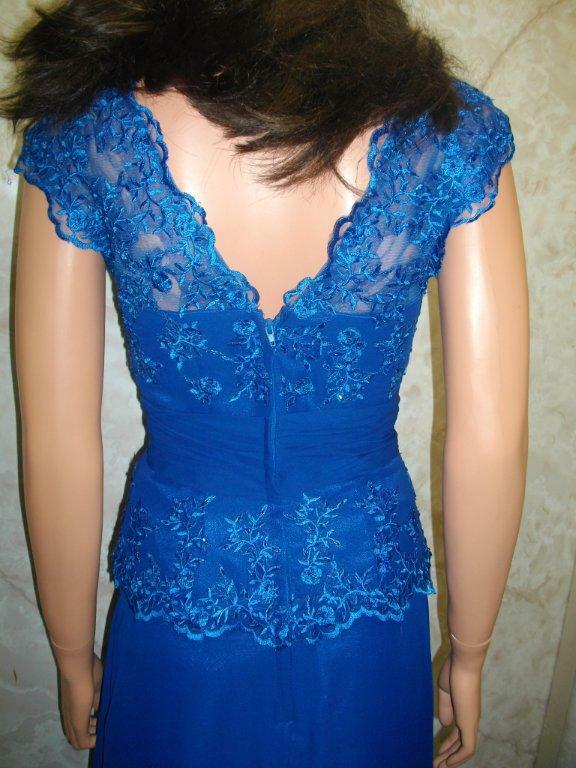 Every dress is custom Made according to the specifications of the buyer. Your gown will be ordered in Chiffon. DO NOT GUESS YOUR SIZE. Regular Mothers Dress delivery is 8 weeks.